Hours Grounds open daily from sunrise to sunset. 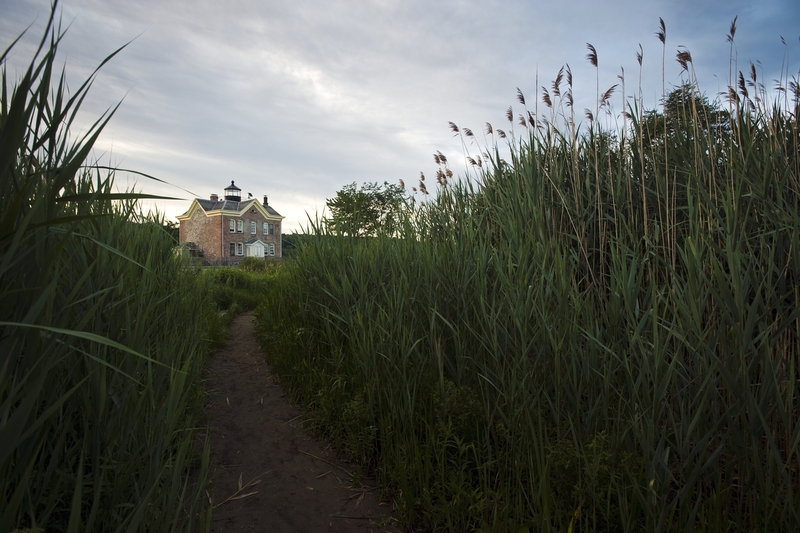 Interior tours offered seasonally on Sundays (12pm-3pm) between Memorial Day and Labor day weekends. 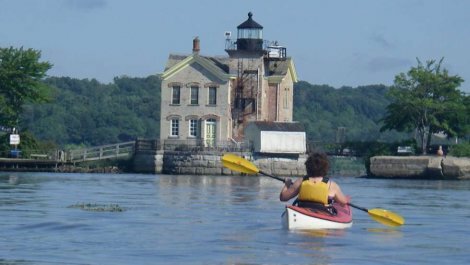 A landmark beacon on the Hudson River, the Saugerties Lighthouse is a venerable aid to navigation, constructed in 1869 at the mouth of the Esopus Creek. 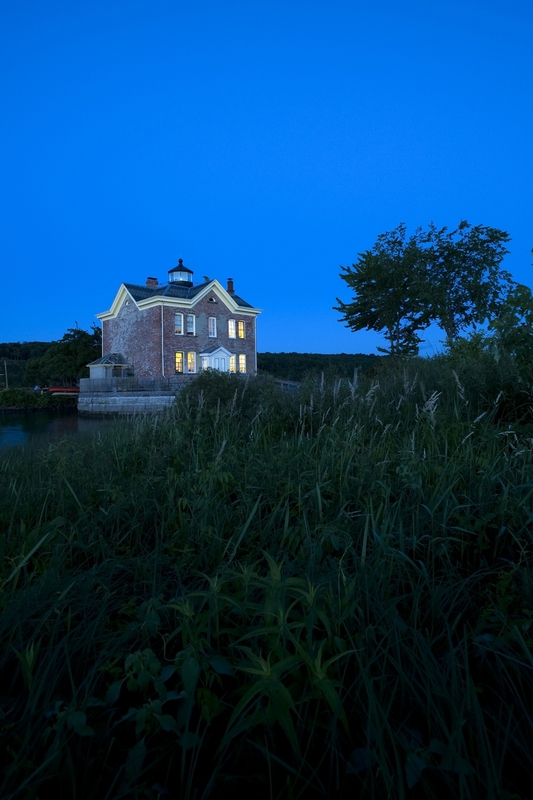 The restored, red-brick Lighthouse offers overnight Bed & Breakfast accommodations, public tours and special events. 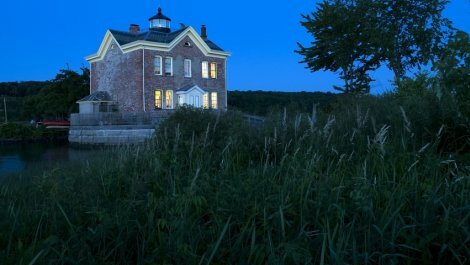 Furnished as it may have looked in the early 20th century, the Lighthouse contains a small museum, gift shop, parlor, kitchen, keepers’ quarters, and two guest bedrooms. 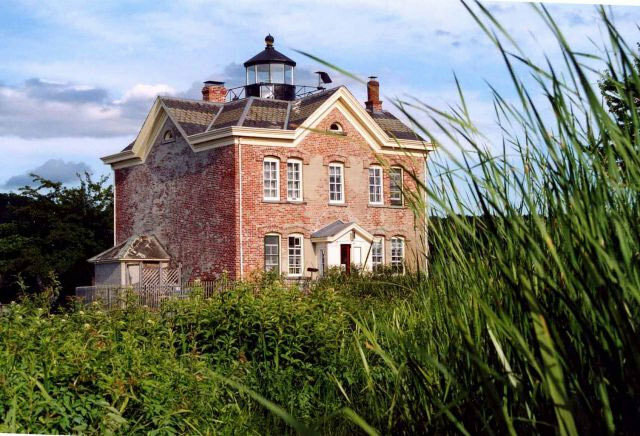 The Museum room now showcases the history of the Lighthouse and the steamboat era of the Hudson River. Displays feature models and images of steam liners that frequented Saugerties and photographs from the horse and buggy days of the Village. Assorted maritime artifacts are also on display, including a whale oil lamp common to early 19th century lighthouses and a Fresnel lens. 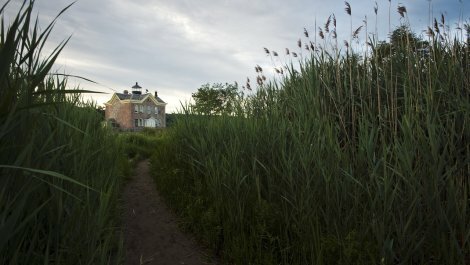 For in-depth information about the history and restoration of the Lighthouse, a projected 20-minute documentary video is available for viewing. 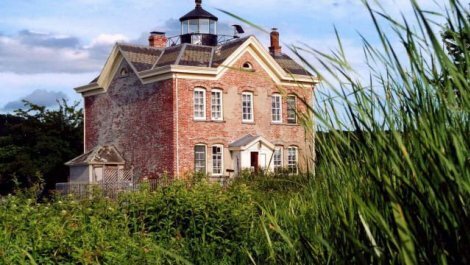 The operational light-tower offers a panoramic view of the Hudson River Valley and Catskill Mountains. 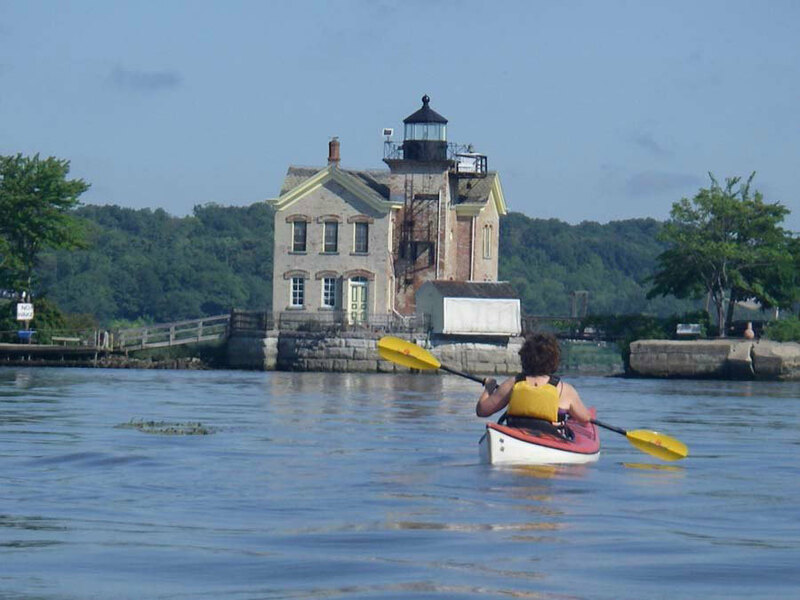 The Lighthouse can be reached via the half-mile nature trail at the end of Lighthouse Drive in the Village of Saugerties, New York. A riverside picnic area is accessible year-round and a small dock is available on a limited basis to boaters. 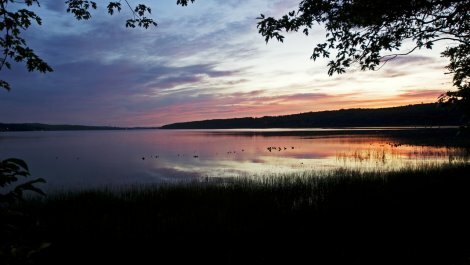 Grounds open daily from sunrise to sunset. Interior tours offered seasonally on Sundays (12pm-3pm) between Memorial Day and Labor day weekends. 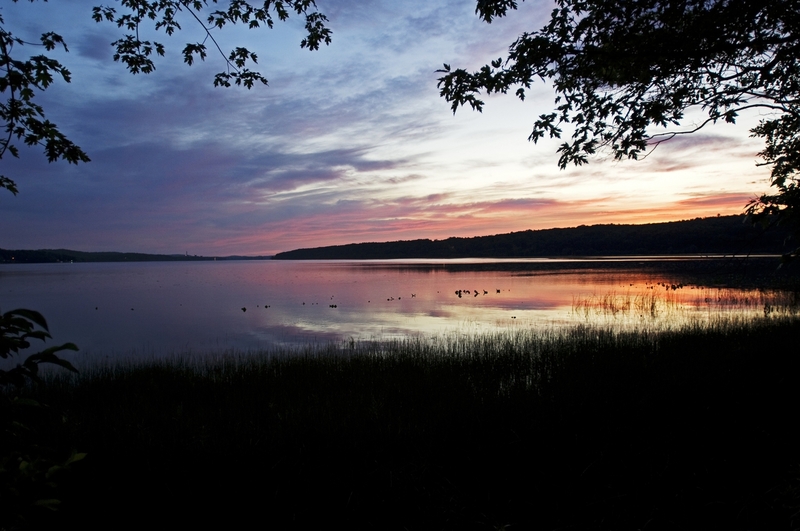 Sites Dates Hours: Grounds open daily from sunrise to sunset. Interior tours offered seasonally on Sundays (12pm-3pm) between Memorial Day and Labor day weekends.